YOU are the reason that bloggers like us host giveaways so we've decided it’s time for all of us bloggers to show even more of our appreciation to you… our readers and blog followers. Normally we offer giveaways with entries to help boost our blog and following numbers, but this Hop is all about making it easier on YOU. 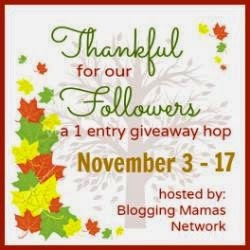 Each blogger in this Hop is offering a wonderful prize, worth at least $25 and ALL giveaways have only ONE way to enter! Hop around to them all as we show you how we’re Thankful for YOU! 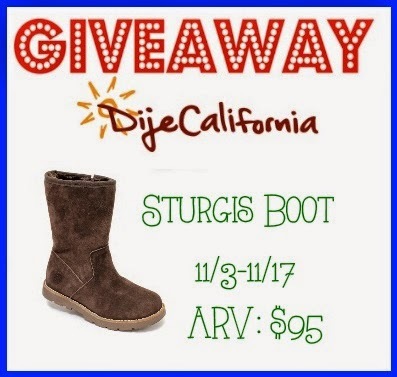 Here on Mommy's Favorite Things, we will be giving away a pair of Dije Sturgis Boots! I live in Rapid City, South Dakota, of course I have to have these Sturgis Boots! These boots would be perfect for me for this winter. Love the style and color.